Rheumatoid Arthritis (Amavata) is an autoimmune disease that causes chronic inflammation of the lining of joints and internal organs. This disease is caused by a genetic factor triggered by environmental influences. Persons with HLA DRB1 and PTPN22 genes are known to be having a higher risk. In Ayurvedic terms, when a person indulges in Vata-aggravating diet and lifestyle, then Vata circulates Ama in the channels of the body and deposits it in the joints, causing Amavata. This can also cause inflammation of the tissues around the joints, as well as in other organs in the body. Excessive intake of fish, milk and milk products. Exercising after having fatty food. Prolonged Rheumatoid Arthritis can result in permanent loss of movement in joints or disfiguration of joints. If untreated, it can also affect other organs like the Skin, Lungs, Kidneys, Liver, Bones, Blood, Heart and cardiovascular system. So, our doctors carefully analyse the Patients symptoms to devise a treatment plan aimed at preserving the mobility and functionality of their joints. This includes managing symptoms (inflammation, pain and stiffness), maintaining a maximal range of skeletal mobility and taking precautions for preventing joint deterioration, deformities and complications. Pain in joints of the hands, feet, ankles, wrists, shoulders, knees, hips, vertebral joints, jaws, or neck. Ayurvedic procedures to remove excess Ama(toxins) and to balance Vata(air). 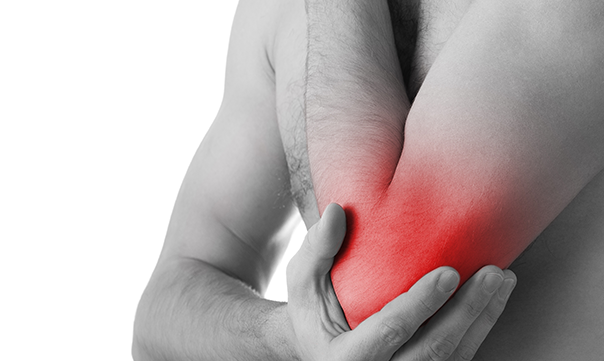 Herbal medication for managing pain and reducing joint inflammation. Panchakarma massage therapies for reducing pain. Rasayans for protecting tissues, improving body balance, immunity and joint bone stability. Ayurvedic massages and treatments - Tailadhara (strategically pouring medicated oils targeted on specific parts of the body), Nhavarakkizhi (massages using rice boiled in medicated milk) and Ksheeravasthi (milk-based medicated enema) are used to treat pain or to increase blood circulation or to sooth stiffness. Include barley flour, honey, horse gram, split green gram, cumin seeds, dried ginger root powder, garlic, bitter gourd and castor oil in the diet. Avoid exposure to pollution, insecticide, direct exposure to cold winds and allergens like cosmetics etc. Avoid Vata-aggravating food that is heavy and oily. Have a good sleep routine.